Hopefully you've tried the flourless-on-purpose peanut butter cookie recipe. Today I was craving cookies, and these are absolutely the easiest cookies you can make. I threw chocolate chips in, and they were banging. Yum. Preheat oven to 350. 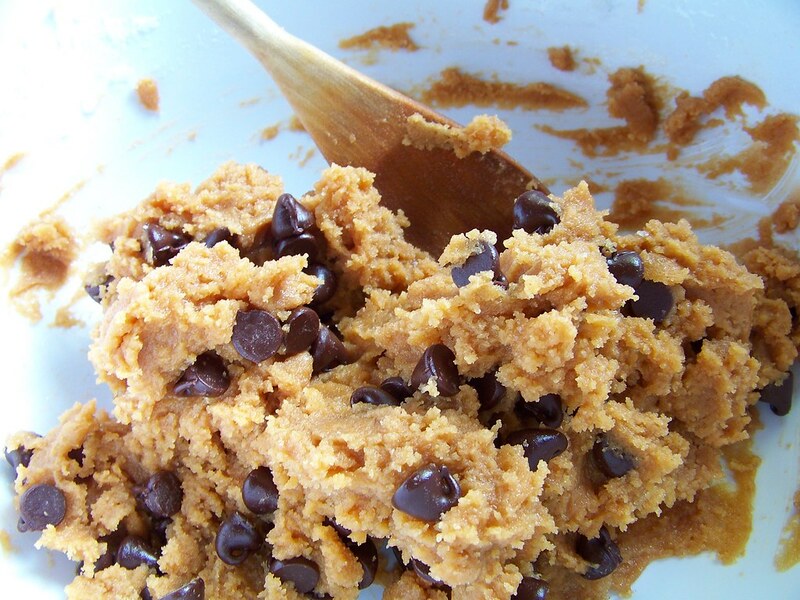 Mix peanut butter, sugar, and egg together. Once combined, add chocolate chips, mix in, and then form into small balls, flatten slightly, and put on greased cookie sheet. Bake 10 minutes, cool on a rack. Makes about a dozen and a half small cookies. Oooh, those cookies look amazing! I love the simplicity. Simple is good! Yummy looking cookies. At first glace of the recipe I thought that can't possibly work! Those look wonderful! I was so skeptical for so long about these cookies, but trust me. They're delicious, fast, and sooooo simple! These cookies are so good - I've been wanting to try them with a Hershey's kiss. Glad to know that they work well with chocolate chips! We must be on the same gluten-free wavelength (or maybe all gluten-free Philadelphians begin to eat alike at some point?! )..I've been making batches of these lately too. I love having an excuse to use mini chocolate chips. :) And these won over my co-workers, surprised that they were naturally g-f. I made these last night and used icing sugar and regular sugar - delicious!!! I'd like to try adding some toasted coconut along with the chocolate chips next time!! 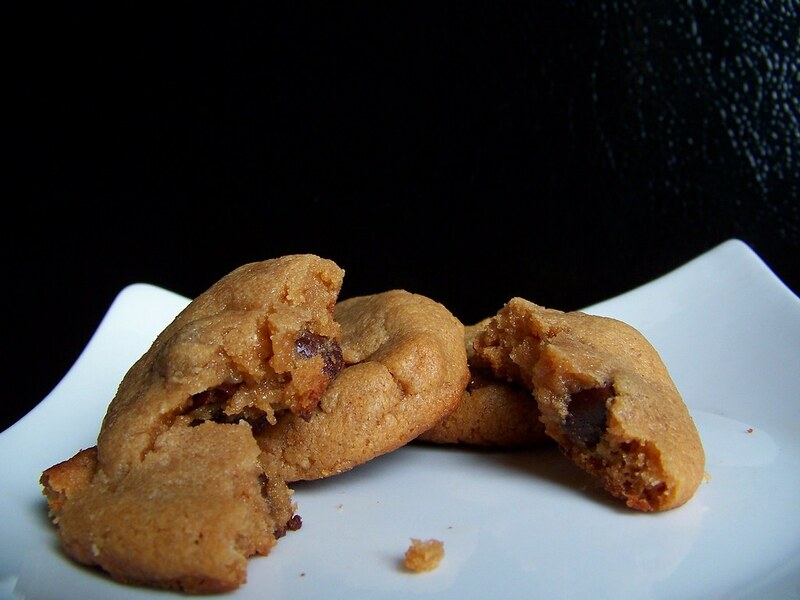 These cookies are easy and tasty but when I made them, they were a bit crumbly. Any suggestions? Just made these in 15 minutes and there grrrrrrreaT! Try adding 1 smooshed ripe banana to the mix. Mind-blowing.